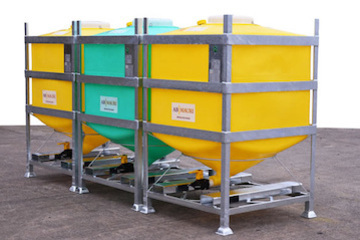 For the safe storage and transportation of animal feeds we manufacture bulk silo IBCs such as the DG and MT ranges. Available in a range of capacities with discharge designs to cater for differing flow requirements. All our products are designed for re-use, making Francis Ward containers a cost-effective solution.